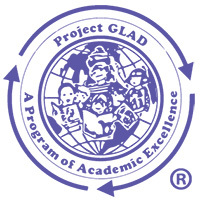 As a co-creator of the Guided Language Acquisition Design or Project GLAD® teaching model, I, Marcia Brechtel, exclusively endorse Be GLAD LLC, and their team of trainers as currently the only Project GLAD trainers that are most closely adhering to the original model and principles I co-created along with Linnea Haley. 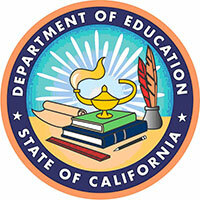 We originally field-tested the Project GLAD model, which concluded with the designation of “Exemplary” status by the California State Department of Education. The model has its origin from when I was a teacher with the Peace Corps, teaching children in Afghanistan with few materials and no curriculum. During this time, I realized teachers could have a profound impact on students regardless of the materials. Later I worked with Linnea Haley to further our collection of effective strategies. During one summer break, I wrote these up in my book, Bringing It All Together. The celebration of the individual child, personally and culturally, was a crucial factor for us. Eventually, a federal grant was received to study the impact of these strategies on student success and achievement across the nation. 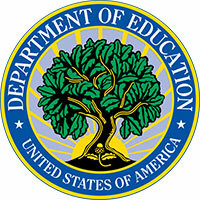 Following the state process to be designated "Exemplary", the Guided Language Acquisition Design was designated a “Program of Academic Excellence” by the United States Department of Education. The US Department of Education set clear parameters for dissemination of Project GLAD. Be GLAD and their elite team of trainers are the only trainers certified in the Guided Language Acquisition Design, that I personally know of, that have consistently adhered to and followed the Project GLAD methodology as designed by Linnea Haley and myself, and approved of by the United States Department of Education. Therefore, their program qualifies as a “Program of Academic Excellence”. They have continued our long-standing history of having data to support their integrity to the original Project GLAD, and have continued to conduct research in the field. Although I have retired from an active role related to the Project GLAD model, I continue to consult with and advise Be GLAD and their trainers, because they continue to value and utilize the original research based insights and ideas that were, and are, the cornerstone for so much academic success on the part of students. As a national organization providing professional development to states, districts, and schools, Be GLAD continues to bring the original Project GLAD Model forward in promoting language acquisition and high academic achievement with 21st century skills. I take great pride in my exclusive endorsement to Be GLAD for helping all students achieve 100% success!